1.They come in all shapes and sizes! Giant Pacific octopuses (Enteroctopus dofleini) like our Neptune, are the largest species of octopus in the world. The largest recorded was an enormous 9.1 metres across! By contrast, the world’s smallest octopus (Octopus wolfi) weighs less than a gram and could easily perch on the end of your finger. Octopuses are incredibly intelligent, which gives them an edge when it comes to survival. The coconut octopus, for example (Amphioctopus marginatus) can stroll around on two legs to carry objects like coconut shells that they use to build defences where they live. It’s a great example of tool use in an invertebrate. 3. They have the craziest skin. Octopuses are famous for their rapid colour-changing skin, able to mimic their surroundings, and even other species. Take the mimic octopus for example, which can disguise itself as a fish, sea snakes, crabs, or even seaweed. 4. They have some crazy defences. 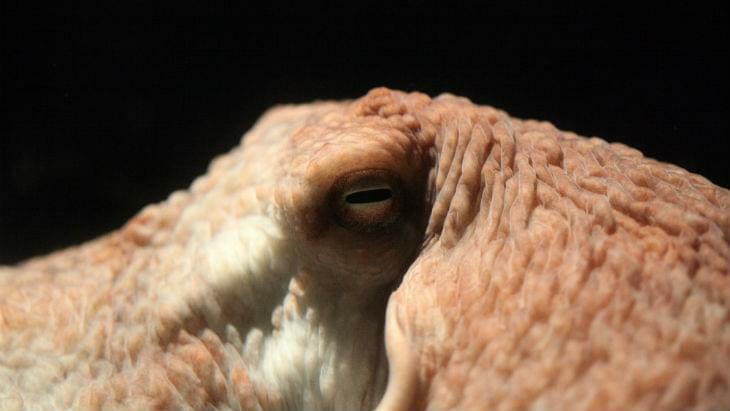 Octopuses can squirt special ink produced from gland in their liver. This can form either a ‘smoke screen’ for the octopus to escape, or a mucous-y decoy (called a pseudomorph) to confuse any predators. Not only do octopuses live all over the world – from tropical seas to the polar north, they can also be found at significant depths. Take the adorable dumbo octopus for example, which can be found as deep as over three kilometres! Whilst many cephalopods lay their eggs and desert them, female octopuses tend to their eggs for life. Octopuses eggs often attach together in long strings or branches and hung from little caverns. The mother will stop feeding in order to tend to these eggs, keeping them protected from predators and oxygenated with jets of clean waters. Sadly, the mother octopus will die shortly after their eggs hatch, making them some of the most committed mothers in the animal kingdom. 7. They love to play! Octopuses are likely the most curious creatures without a backbone and love to explore and try out new things in a playful manner. 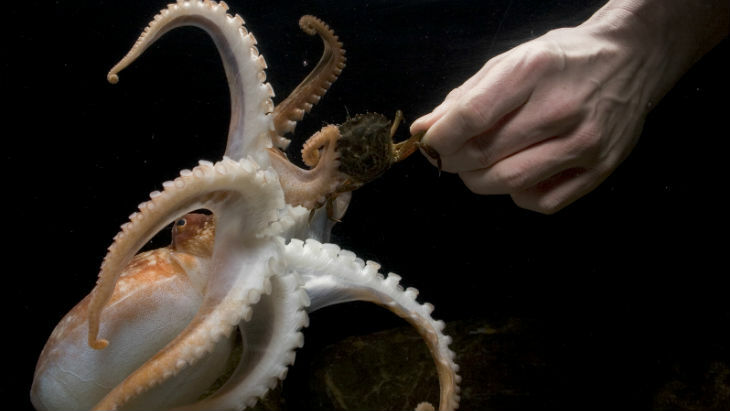 Check out our octopuses during feeding time and see this for yourself! 8. They are vital to the ecosystem. Octopuses, and other cephalopods play a crucial role in food webs, acting as both major predators and prey. 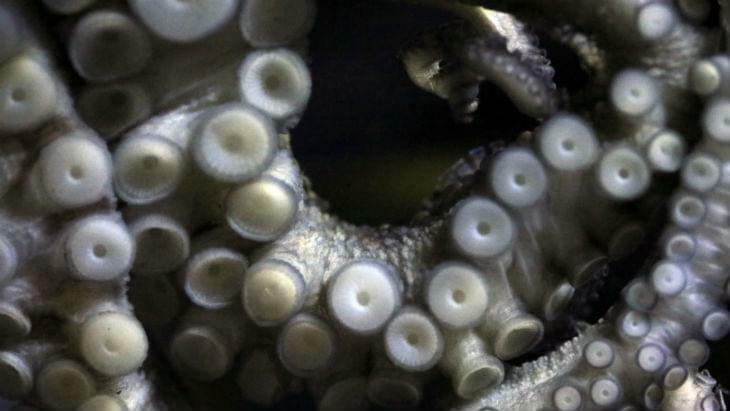 Octopuses eat fish, crabs and molluscs, whilst providing an important food source for many sharks, eels, and dolphins. If you’d like to read more about the octopuses living here at the NMA, and where to find them, click here. Happy World Octopus day!